Strapless gowns are a bold, beautiful choice for a wedding in any season. In the winter, bare shoulders give you the opportunity to style your gown with a bolero, shawl, pashmina—or shoulder jewelry! 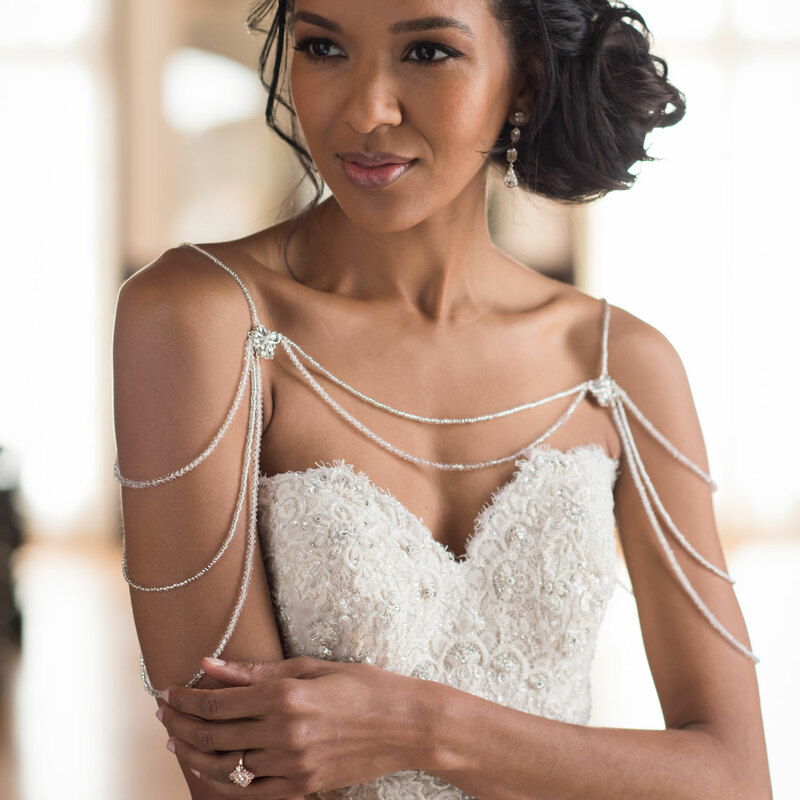 For the most glamorous of brides, shoulder jewelry can complement your dress or transform your entire look. Check out our lovely designs to see your options! Pure sparkle beautifully complements your gown with classic elegance. Triple strands of rhinestones connect with rhinestone motifs for a gorgeous alternative to a traditional necklace. For extra-dramatic sparkle, a shimmering combination of clear crystals and decadently beaded appliqués adds glamour to your look. This design beautifully complements other crystal or rhinestone accessories. Add a whimsical touch of romance to your ensemble with embellished appliqués and pearl strands. 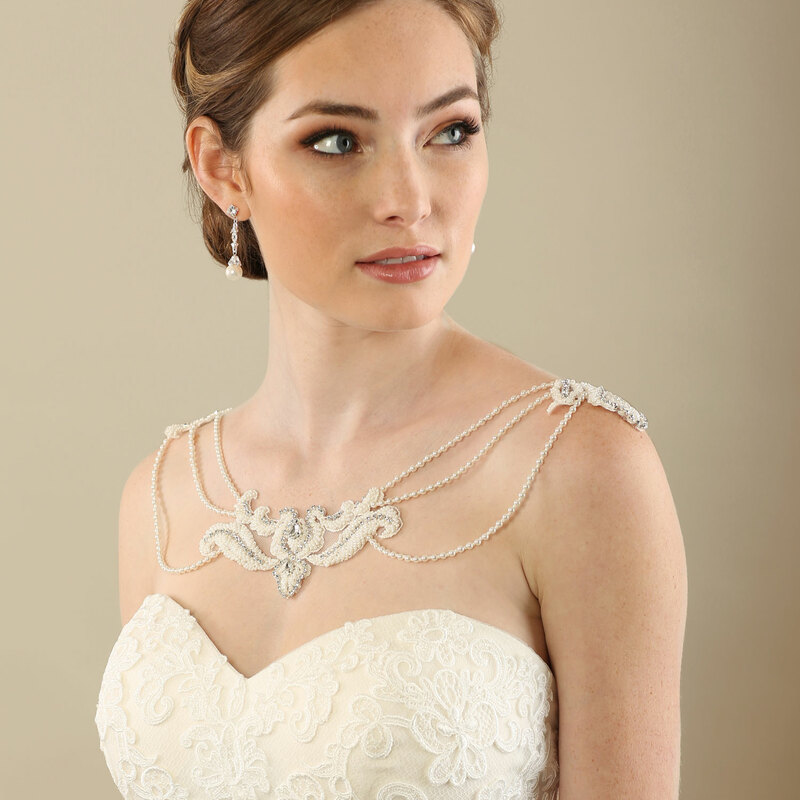 This vintage-inspired design beautifully complements pearl jewelry and/or lace gowns. 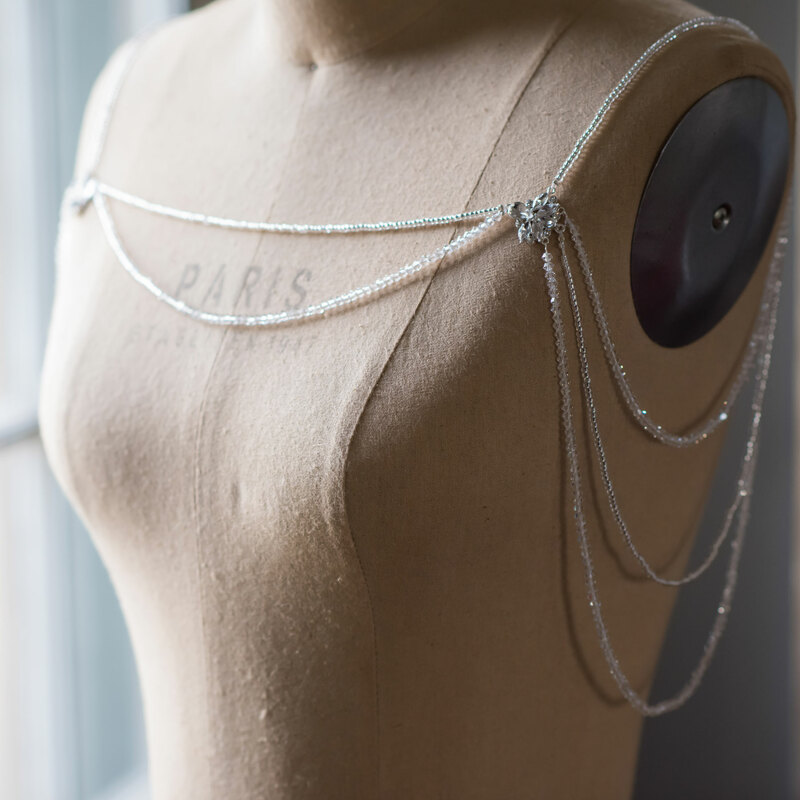 Add a light dash of sparkle with alternating strands of silver beads and clear crystals attached to rhinestone motifs. This glittering design is a princess-worthy addition to a dreamy ensemble. 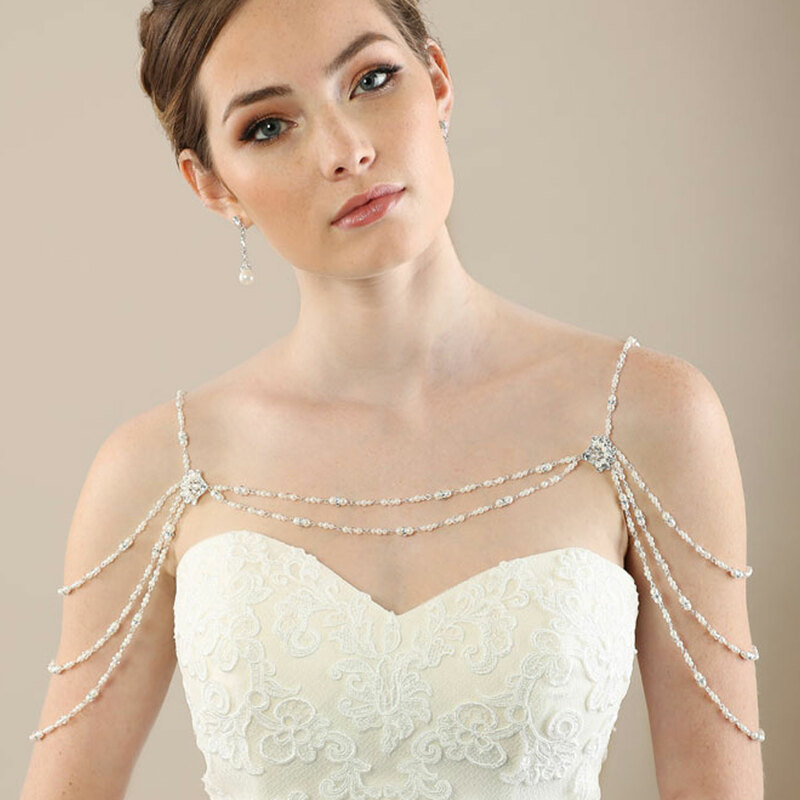 Adorn your shoulders with a vintage-inspired design of pearls and rhinestones. 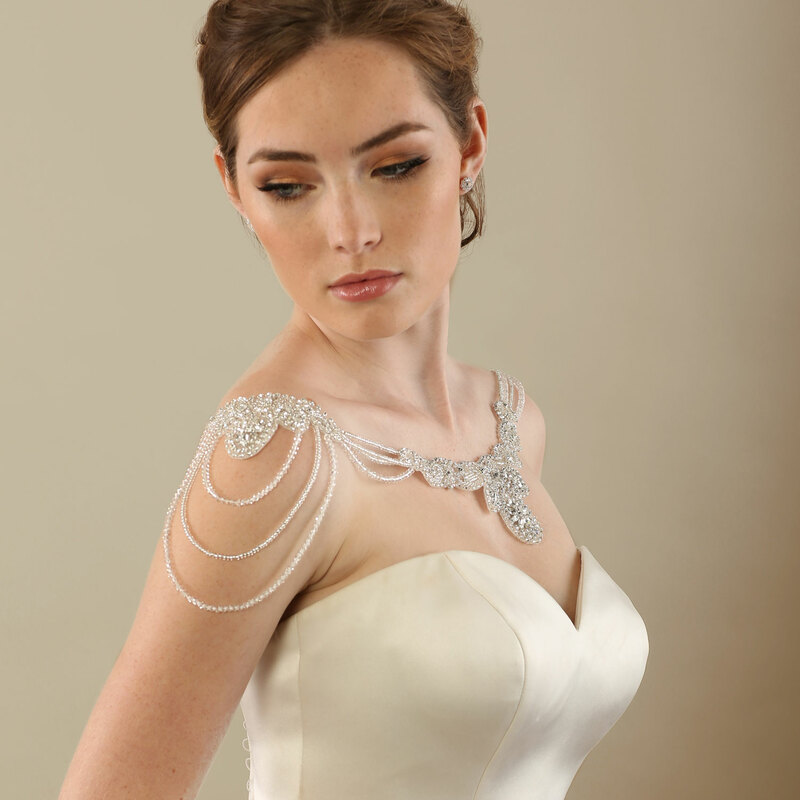 This classic design of triple strands adds lustrous sparkle and wonderfully complements vintage gowns. Want to see more? Check out our jewelry sets, bracelets, earrings, and belts for that special something new for your big day!